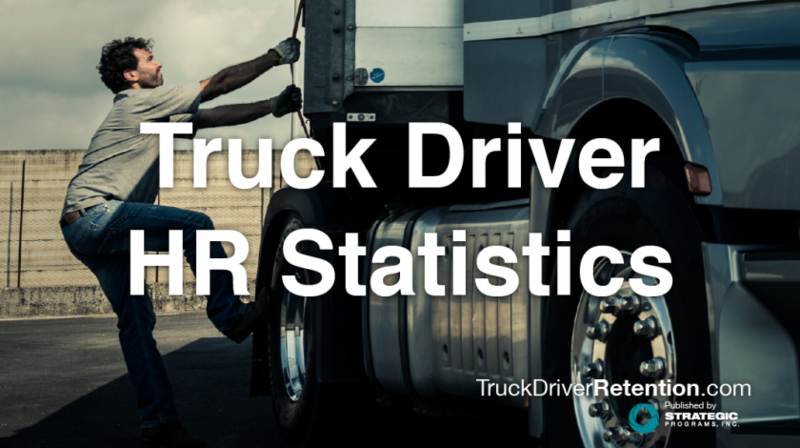 The truck driving profession is one that has historically been filled with unique challenges. Due to the long-distance relationship many drivers have with their managers, building strong ties over time can be quite challenging. At the same time, there is an increasing need to truly engage the existing workforce so that this obstacle can be overcome. This concept of “engagement” is one that is often applied to office workers and other white collar roles, but it has definite impacts on the driver profession as well. While some companies have cracked the code on how to engage their drivers, others are still scrambling to keep the relationship intact. Let’s take a look at some of the specific challenges for these workers and then consider some options for how to improve engagement among the driver population. Your workforce is on the go. At any moment in time, your team can be in any number of cities, carrying out your organization’s mission, but that comes with a price. Being away from peers, managers, and company leaders for the majority of the time means there is little connectivity felt among these workers. In general, human beings are more decent and compassionate to other human beings in person than they are with a computer screen or a voice on the other end of a phone call. Having the ability to meet face to face with your drivers every now and again gives you both the opportunity to remember that you’re just humans who sometimes make mistakes. This realization can greatly improve interpersonal relations among your team for drivers, managers, and other support staff alike. Speaking of interpersonal relations, each of your people has a unique preference for how they prefer to receive information. Communication preferences can vary widely, even among similar staff. Due to being in the field, drivers need regular communication to keep them apprised of the latest information. Some prefer emails while others need a phone call to feel adequately informed. Still others may want text messages when information is urgent. Keeping communication fresh and continuous without overwhelming drivers is not always easy. Lack of after-hours support is another challenging issue because it can make drivers feel as if they must accomplish the mission single-handedly. When drivers are working nights and/or weekends, they often do not have full coverage by dispatch or managers when they have questions or issues. Even if they are provided with personal contact information for the right people, it still is outside the normal operations to make those phone calls. This communication requires additional effort on this specific population that already faces the challenging task of driving during off-peak hours. While these challenges may seem daunting at first, the good news is that there are actions that managers can take to minimize or even correct these issues among their valuable driver workforce. Take action by addressing these main issues one at a time. At its core, this is about building the bonds among your team members, no matter the functional role. It can be easy to forget this with an on-the-road workforce, but it is even more imperative to make these activities a primary focus with that particular group. Many of these issues can be traced back to the communication barriers associated with a dispersed workforce. Having a face-to-face discussion with this type of worker is going to be the exception, not the rule. However, the abundance of technology provides a variety of options for reaching this population. Finally, we have to face the coverage issue. Due to the nature of this industry, we can’t eliminate this problem entirely. However, we can mitigate the issue with service and accountability expectations as Younkin explains below. As you can see, the obstacles between your truckers and high engagement levels don’t have to keep your organization from realizing the full value this group brings to the table. Improving and maintaining engaged drivers is possible–it simply requires a communications strategy in combination with an intentional effort to reach this segment of your workforce.